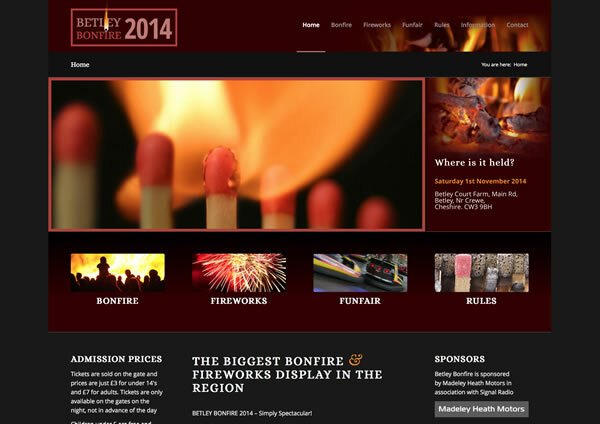 The biggest bonfire and fireworks display in the region! Betley Bonfire and Fireworks display, (in association with Signal 1 Radio, Sponsored by Madeley Heath Motors is completely run by a group of dedicated volunteers to raise money for local organisations) sets the sky alight every November! Bee Interactive are proud to be part of it!